The myth of white privilege says that whites are given a head start in life by simply being born white. The truth is white privilege isn’t real, and black women engaging in high risk sexual behavior and black males not fulfilling their parental responsibilities of getting married and supporting a family they helped create are the causes of many of these problems. Does Income Level Affect Graduation Rates? This repeating situation isn’t caused by white privilege, systemic racism, or any institutional bias, it’s caused black females engaging in high-risk sexual behaviors, and black males not getting married and supporting the family they helped create. It’s an uncomfortable truth, but black adults aren’t creating the family units they need to raise successful children. There is a 72.3% chance of a black woman giving birth in a non-married status. There is a 35% chance of a black single parent household living in a low-income situation. 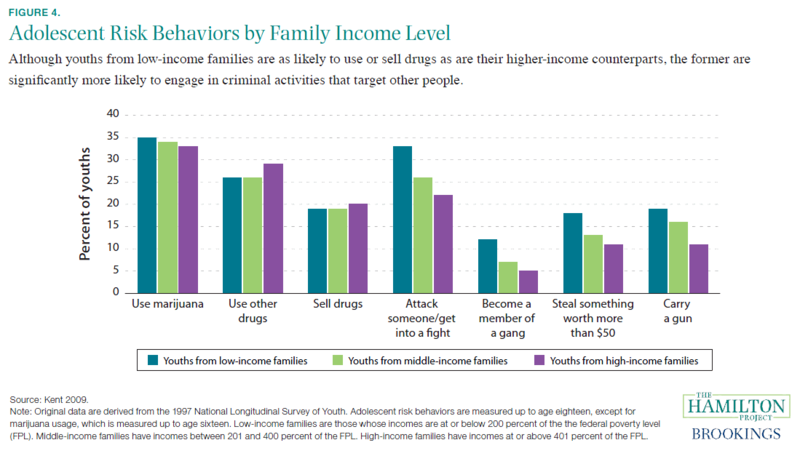 Children growing up in a low-income situation are more likely to engage in criminal behavior. Low-income students are less likely to graduate high school limiting their earning potential throughout their life. To end this cycle black women need to stop engaging in high-risk sexual activities or use more effective birth control on a regular basis. To end this cycle black males need to stop engaging in high-risk sexual activities or use more effective birth control on a regular basis. To end this cycle black males need to take responsibility for the child they helped create, create a stable family unit that gives the child a chance to succeed. White privilege, systemic racism, or institutional biases aren’t creating this problem, the two people creating a baby are. White privilege isn’t real and isn’t responsible for the breakdown in black family values, black men and women are.